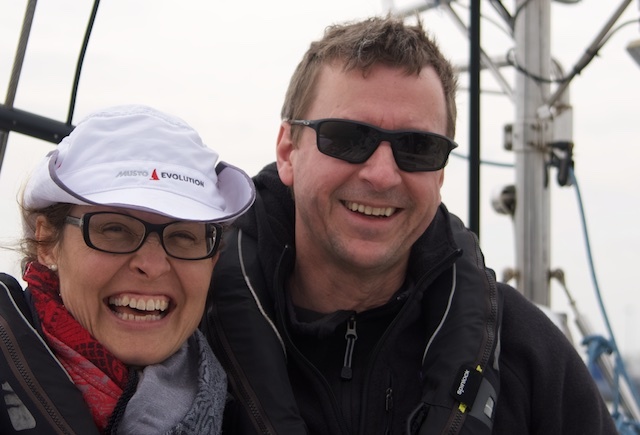 Twice before I had been sailing on Regina Laska with Leon (15-2015 and 15-2016), but those two times had been on his “all-women legs”. After both of these previous legs, I had returned home fully relaxed and full of energy. 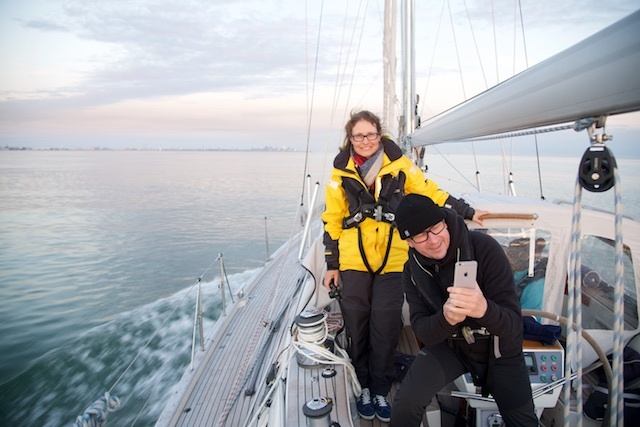 This yachtmaster sail training was different, however. When I came home I felt tired, exhausted and confused. This was an intense training leg, for sure! 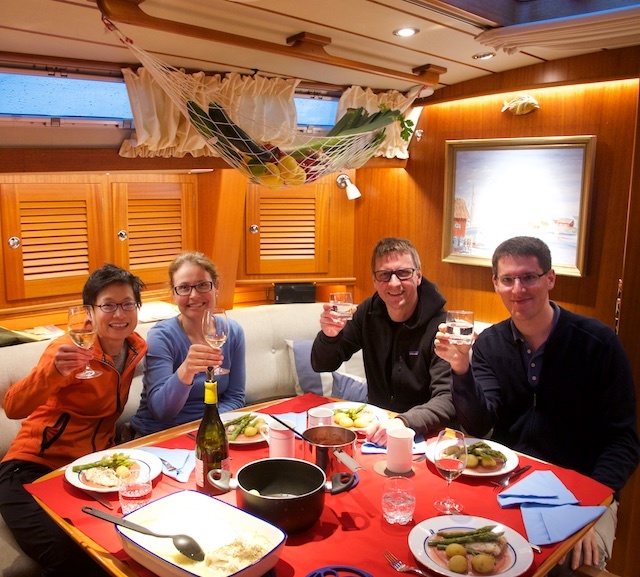 During the medical course in Malta I got to know my fellow crew for my RYA Yachtmaster Prep course from Cuxhaven in Germany to Lymington in The Solent (Leg 2-2018). Me during the Reginasailing Medical Training Course in Malta. 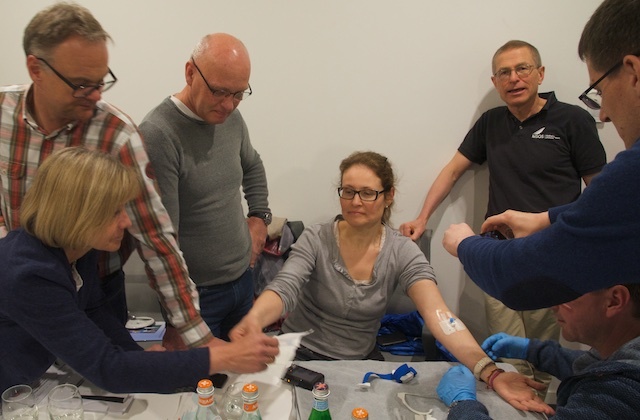 The other participants standing around me, using my body for practicing…. Luckily our instructor, Dr Spike Briggs (right) was not far from me! My turn to give “revenge”! (just kidding!!!) during the medical course. We had a lot of fun in Malta, for sure! And I was looking forward to be sailing with three of them! 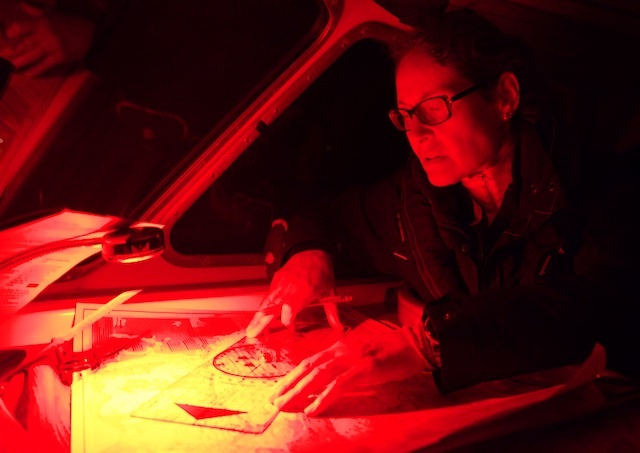 Since I knew them all from the Medical Course course, I was really looking forward to the twelve-days on Regina Laska. 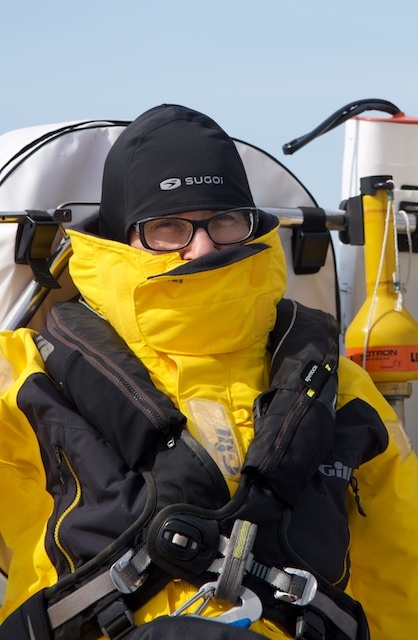 At the same time, I had great respect for the sailing leg as such, of course, since we were to cover 600+ miles over the North Sea and crossing the English Channel with all its traffic. I had done my RYA Yachtmaster Shorebased theory course with Leon on Malta, but it was a year ago, so I had forgotten a lot. 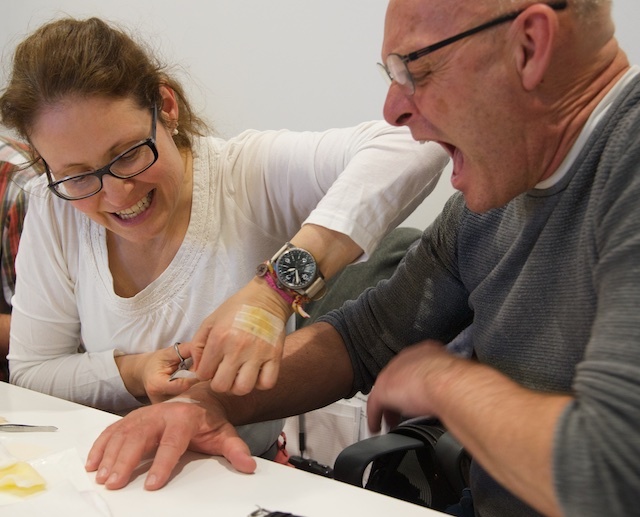 It felt so natural to meet Ralf again, after we had had so much fun on the Medical course before. 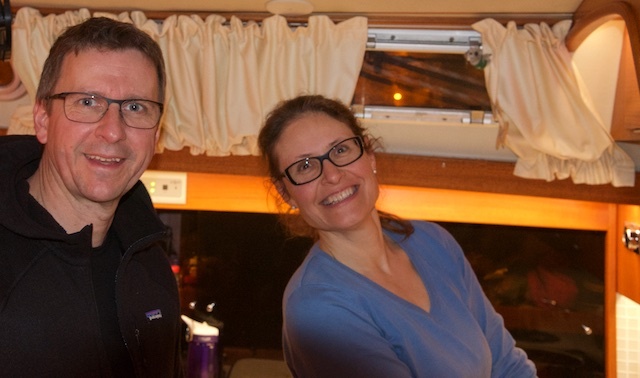 And that goes to my other crew member as well, of course: Matthias from Germany and Carol from Hongkong. My train arrived at 14:00 in Cuxhaven and the walk to the boat felt challenging under the load of my heavy bag. The hard walk was worth it, however, and it was a joy to see Carol, Matthias and Ralf again! We prepared our berths and stowed everything and then we spent a great evening in a Portuguese Restaurant, which was a great little place. Breakfast on Regina Laska: I’m really enjoying my Kalles Kaviar from Sweden on my egg! Next day we planned the watches and who should be staying awake with whom and when. 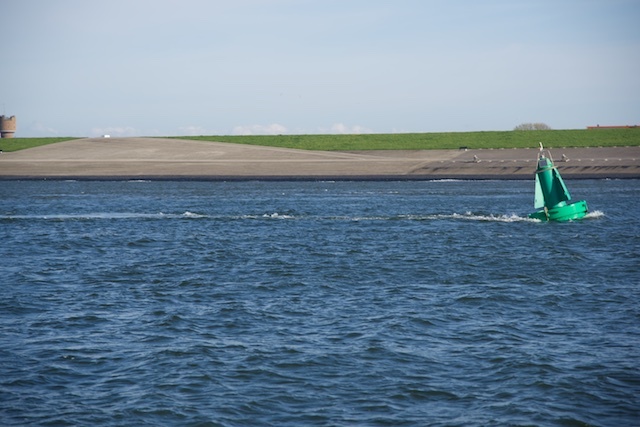 Hardly had we finished that work, it was time to cast off for Den Helder directly. Thanks to my Scopoderm plaster behind my year, I felt great despite all the waves, so I could enjoy my full 4 hours of wonderful sleep listening to wellness music through my headphones. 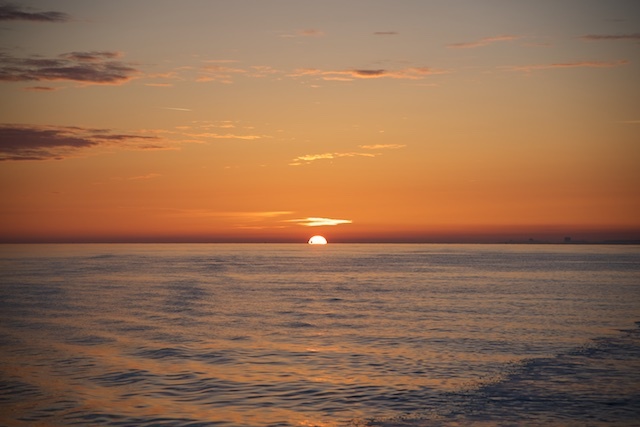 My first night at sea…. At 02:00 I was woken up for my first night watch. When we arrived in Den Helder, the weather was so bad, so we decided to stay in port for a theory day, instead. So, we opened up all the 5 Pelicases with medical equipment that Leon has onboard, and re-packed it in a more logical order and made notes of everything in excel-files. 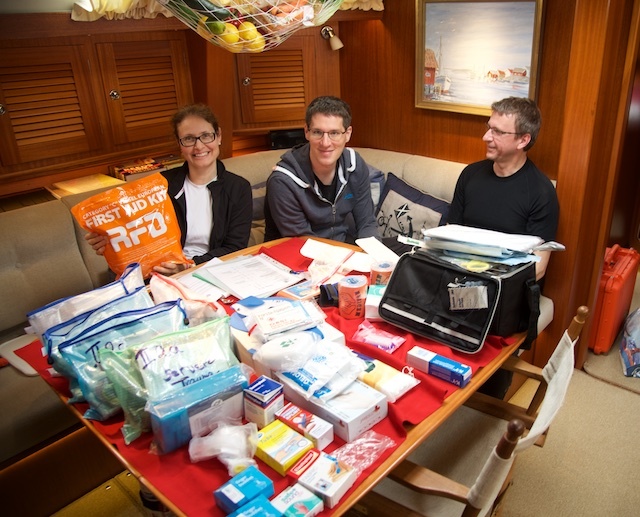 Since all four of us had just participated at the STCW medical course in Malta, we were all up-to-date with medical stuff and so I found it really interesting to re-pack it all. It felt so real! More theory on that stormy day in port: I got a crash course in repeating all the essentials of tidal navigation etc which I had learnt the year before in my theory course. I was surprised how much I could remember and I had loads of “aha-effects”. Theory made so much more sense now, since I was in the real environment. Navigation exercises. I had forgotten a lot, but it became quickly all clear to me again! 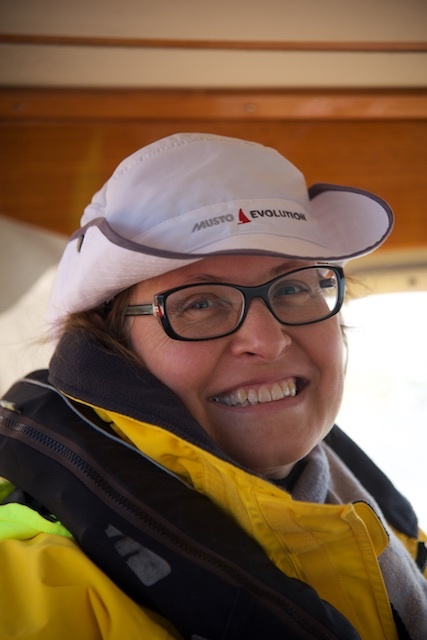 The combination of first theory ashore and then doing it on a boat really was great for me. A special thanks to all my crew mates and, of course, Leon, who had loads of patience to explain it all to me again. The others had just done the theory course this year in Malta and were, obviously, more into it than me. But it didn’t take long until I was fully in it again. Passing the famous white cliffs of Dover. So this is how it looks in real: “High Water Dover”! 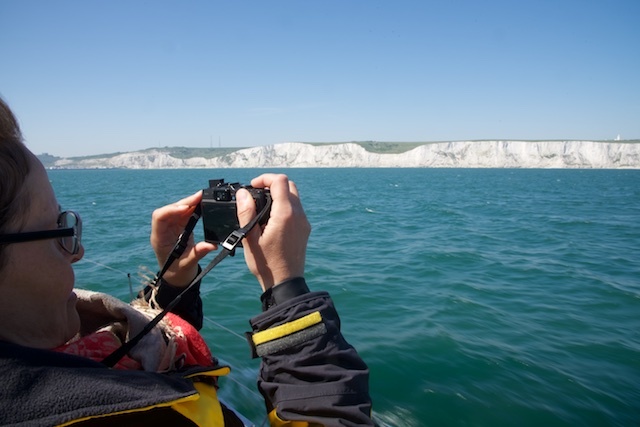 High Water Dover, all the tides, the currents, the bearings, nightsailing…. All had been so theoretical for me before. And now I had become part of it all, and so these did not feel so awkward any more. Tidal streams how they look in reality! 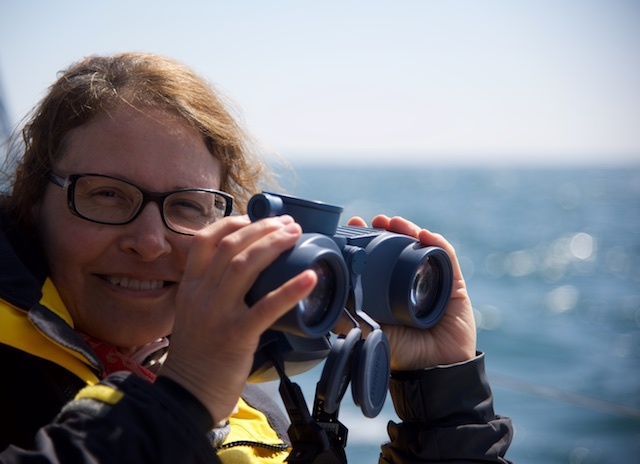 Leon’s exercise for “treasure hunting” in The Solent with Carol was a great success and my self-confidence grew! 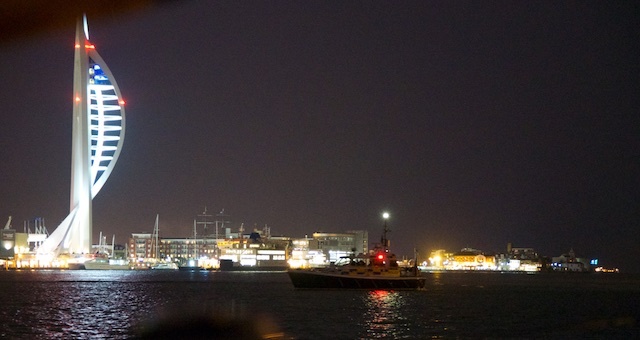 Not to forget the night entry into Portsmouth harbour at 01:00 in the morning! This was a great challenge and so thrilling! Entering Portsmouth at night using classic navigation. This was thrilling, for sure! The Spinnacker Tower in Portsmouth at night. Other highlights were the sweet little town of Lymington and the beautiful landscape of The Solent. Sunrise while making landfall in France. 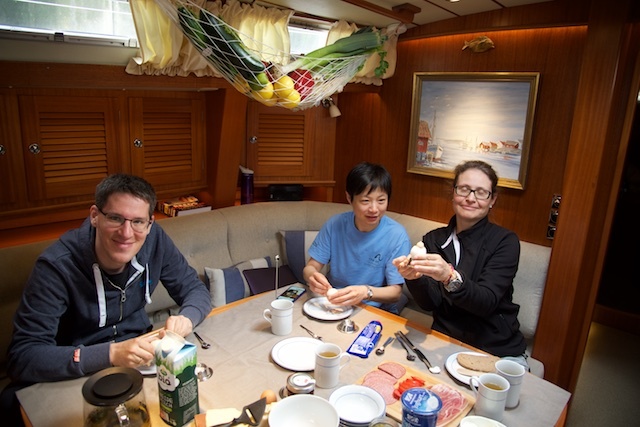 The atmosphere in the early morning or late nights were magic as was the atmosphere onboard Regina Laska, as always! It feels so good to be in good company and I feel so safe with Leon onboard. Having dinner onboard always feels great! Washing up after the dinner, while Ralf is helping me to dry the dishes. What did I miss? Well, where had the cosy evenings gone in the salon, sipping on a glass of Single Malt, dreaming my way beyond the horizon… Not even the sauna was used this time due to lack of time… This is how little time there was for anything but sail training! 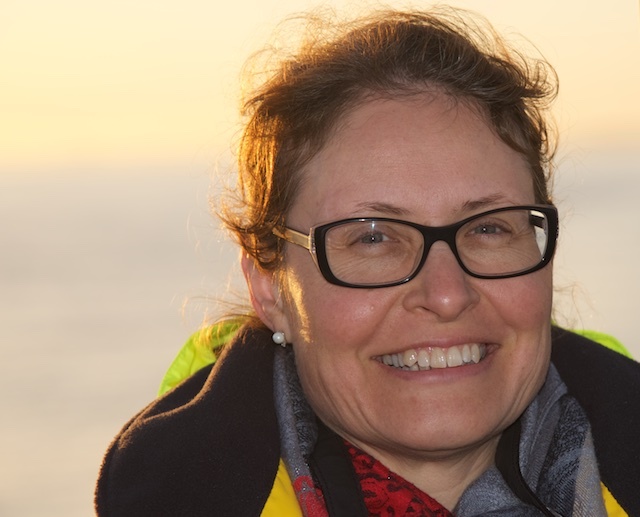 There is a clear difference between an “all-women’s sail training leg” where the main goal is to gain self confidence and finding the joy of sailing and a Yachtmaster Prep course! 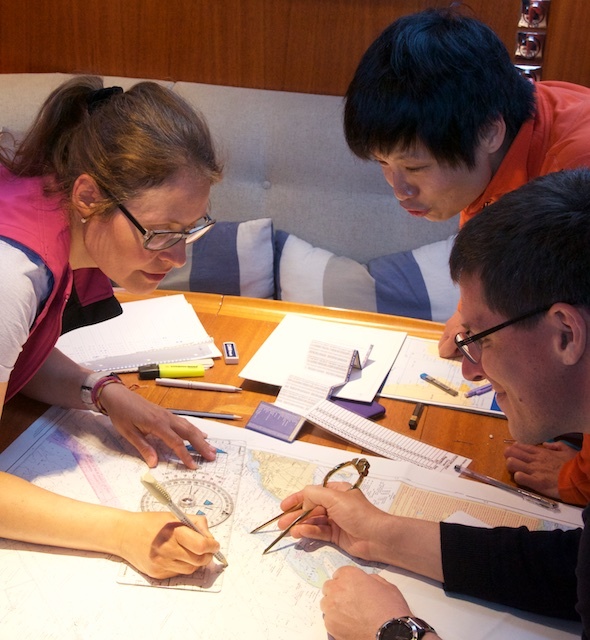 On a Yachtmaster course, the learning and training is much more in the foreground! 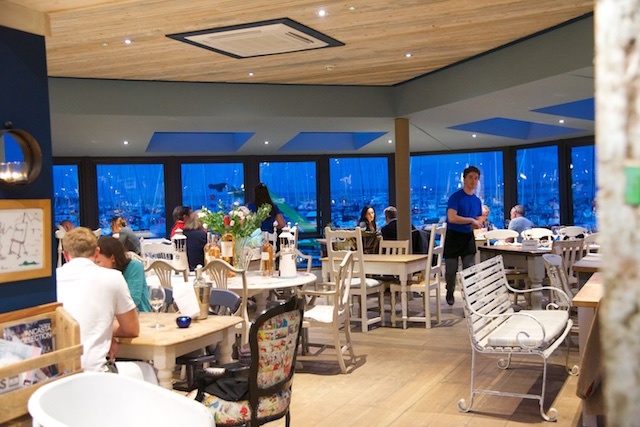 Dinner at the Yacht Haven overlooking the marina in Lymington. 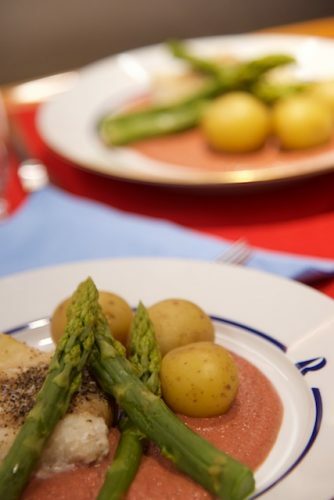 Having said that, you are always eating very well when sailing on Regina Laska. Either in one of the wonderful restaurants we visit, or the meals served onboard. When choosing between them two, I always prefer staying onboard!